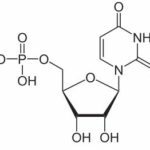 Uridine Monophosphate (UMP or 5′-uridylic acid) is a pyrimidine nucleoside found in all living organisms ranging from humans to bacteria. Uridine is essential for optimized cognition and memory throughout your life. When taken as a nootropic supplement, Uridine Monophosphate easily crosses the blood-brain barrier. [ii] UMP has much better bioavailability than dietary sources of uridine. CDP-Choline levels are increased once uridine reaches your brain. CDP-Choline is required for the synthesis of phosphatidylcholine (PC). PC in turn is a precursor of the essential neurotransmitter acetylcholine (ACh). Increased levels of PC and acetylcholine improves cognitive function. Mood. Uridine helps boost the release of dopamine in your brain. Leading to better mood, alertness and cognition. Neurotransmitters. Uridine is a precursor to the synthesis of acetylcholine. [iv] And boosts the release of dopamine in the brain. Neuroprotectant. Uridine is a precursor to the synthesis of phosphatidylcholine (PC). A phospholipid that is a primary component of healthy cell membranes. Uridine also enhances neurite and synapse growth. How does Uridine Monophosphate work in the Brain? How does Uridine Monophosphate feel? 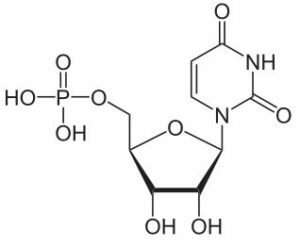 Uridine Monophosphate (UMP or 5′-uridylic acid) is a pyrimidine nucleoside that is one of 4 components that make up RNA (ribonucleic acid). RNA is a molecular cousin of DNA (deoxyribonucleic acid). DNA are the memory bank for all living organisms. RNA works as a messenger molecule, carrying the blueprint provided by DNA to tiny cellular factories called ribosomes. Ribosomes are in charge of protein synthesis and use the blueprint sent over from DNA by RNA to produce the right protein for the job required. The bottom line is that without uridine to make up RNA, DNA couldn’t get the info out for proteins to be synthesized. And life as we know it would cease to exist. Our bodies create some uridine. And we get uridine from the RNA of foods we eat including beets, beer, broccoli, fish, mushrooms, oats, parsley, sugar cane, tomatoes, and brewer’s yeast. Beer provides some of the highest uridine content of all the foods tested. The problem is most of the uridine we get from food never makes it from our digestive system to our brain. So we need to supplement with uridine monophosphate (UMP) to experience the benefits of uridine. Uridine does much more than merely act as a building block of RNA. Uridine acts in the formation of neurotransmitters, and the creation of new synapses. Adding uridine monophosphate to your nootropic stack can help improve alertness, focus, memory, learning ability and mood. Uridine Monophosphate boosts brain health and function in several ways. But two in particular stand out. Uridine improves memory. Uridine helps boost learning and memory in several ways. Uridine helps the growth of new synapses in your brain, increases signaling between neurons, and assists in the formation of acetylcholine (ACh). Memory is largely dependent on neuroplasticity which is associated with the ability to learn and form memories. This process of turning experiences into memories relies on the growth of new neurons (neurogenesis), new synapses (synaptogenesis), dendrite formation, and network reorganization. New neurons (neurogenesis) are encased in a phospholipid layer made up partly of phosphatidylcholine (PC). PC is made from CDP-Choline which is produced with the help of uridine. [vi] Supplementing with uridine gives your brain the ability to create more phospholipids by providing an abundance of CDP-Choline. Resulting in new and stronger neurons. Uridine impacts mood. Uridine stimulates the release of the ‘feel-good’ neurotransmitter dopamine in your brain. Phospholipids like phosphatidylcholine (PC) are required for cellular growth and repair, and specifically for synaptic function. PC synthesis is controlled by levels of its precursor CDP-Choline which is produced from cytidine triphosphate (CTP) and phosphocholine. Researchers found that supplementing with uridine monophosphate boosted levels of CDP-Choline. By promoting the synthesis of uridine triphosphate (UTP), which was partly converted to CTP. 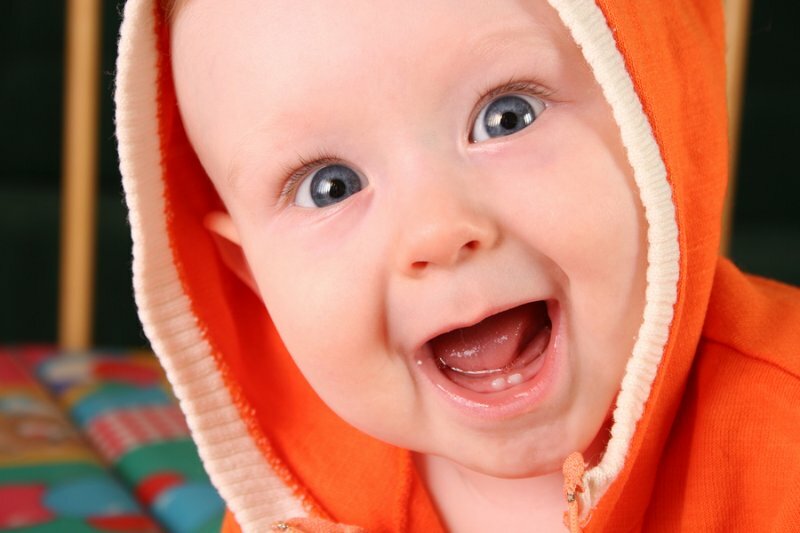 Increased levels of dopamine has a significant affect on mood, learning and attention. Uridine levels decline as we age. And if you were not breast-fed as a baby, you started life at a deficit. Breast milk provides the uridine required for optimal brain growth. All of these changes in brain energy metabolism are contributing factors to neurodegenerative diseases, including Alzheimer’s, Parkinson’s, ALS, epilepsy, and dementia. But even if you’re not concerned with age-related cognitive decline, or the effects of aging, Uridine Monophosphate can help. Benefits reported by neurohackers include; uplifting and stabilizing mood, reducing stress and OCD symptoms, a reduction in anxiety, and modulating and normalizing dopamine release. Neurohackers report the effects of uridine monophosphate (UMP) supplementation is most pronounced when stacked with DHA or Omega-3’s. UMP elevates mood and relieves depression. Feelings of “well-being’ are enhanced. And verbal fluidity, memory and focus are all noticed at doses as low as 150 mg of UMP. Others report that uridine monophosphate helps bring clarity of thought, resolving problems is faster and easier, math is easier, and making decisions from a clear emotional state simplifies life. The common thread through most reviews on uridine monophosphate is greater success when stacking UMP with a choline like Alpha GPC and Omega-3’s. This synergy is backed up by multiple clinical trials. We have plenty of research on uridine monophosphate. But most of the studies and trials have been done using animals. Likely because uridine is naturally found in every cell of the human body. It’s a key element in a chain of four molecules that make up the RNA chain. And since uridine is a natural element, it cannot be patented. So very little money can be made by the large pharmaceutical companies since UMP can’t be sold as a “drug”. The clinical evidence that we do have for uridine monophosphate strongly suggests that it is a powerful and useful nootropic. Consumption of certain nutrients can influence brain function even if you’re not trying to “fix a problem”. We know that supplemental DHA (Omega-3) can improve cognition in humans. DHA makes up 60% of your brain and is most prominent in the phospholipid membrane of each of your brain cells. Researchers have found that supplemental Uridine Monophosphate (UMP) also promotes synthesis of synaptic phosphatides. But scientists found that taking DHA with UMP has an even greater effect on synthesis of synaptic phosphatides. Greater than taking each nootropic on its own. Scientists also found that combining DHA with UMP and choline amplifies increases in dendritic density in the hippocampus. The synergy of these three nootropics (DHA, UMP and choline) in boosting learning and memory are powerful motivation for any neurohacker to add these supplements to their stack. Research has confirmed the antidepressant effects of omega-3 fatty acids. Associate Professor of Psychiatry William A. Carlezon Jr. of Harvard also found that uridine, a compound found in sugar beets and molasses, has similar effects. And when both Omega-3 and uridine were used in combination, there were found to be effective at lower doses of each. Professor Carlezon speculated that the antidepressant effects of Omega-3 and uridine were caused by affecting fats in the brain. Making membranes more resilient eased the flow of neurotransmitters. An imbalance of neurotransmitters is thought to be a cause of depression. To test this theory, the Professor and his colleagues put rats through a 15-minute swim test during which the animals eventually stopped trying to climb out of the water tank and became largely immobile. Just enough to keep their heads above water. After the test, the rats were dried off with a towel, placed in a warm enclosure for 30 minutes and then returned to their cages. The next day, rats were retested for 5 minutes each. And the rats that had not received enough omega-3’s or uridine became motionless much more quickly. The researchers equate the onset of immobility in rats to depression in humans. The animals that received either Omega-3 or uridine, or lower doses of both, continued to swim around. Professor Carlezon said of the study, “They seem to be protected from the ability of stress to cause depression”. Alzheimer’s researchers agree that cognitive decline seen in Alzheimer’s patients is caused by loss of brain synapses. Researchers at MIT had a theory that restoring some of these synapses could provide an effective treatment for Alzheimer’s. An MIT team reported in Brain Research that rodents given a cocktail of DHA (Omega-3), uridine and choline showed a greatly increased concentration of dendritic spines. These dendritic spines receive messages in postsynaptic neurons. The head of the research team Professor Richard Wurtman said of the study that synapse regeneration had occurred. To Alzheimer’s researchers, this synapse regeneration was very unusual and came as a surprise. Other research ongoing for at least the last 10 years shows that early treatment using “diet” could significantly slow the progression of Alzheimer’s disease. I would argue that most neurohackers supplementing with Omega-3’s, uridine monophosphate and choline could avoid Alzheimer’s altogether. Published in the Journal of Nutritional Biochemistry, a study from the University of Eastern Finland and conducted throughout Europe proved you could reduce dementia risk. And reduce amyloid accumulation in Alzheimer’s mouse models. The supplements used in this study included uridine-monophosphate, phospholipids, B-vitamins, and antioxidants. This combination has been put into a new supplement called “Souvenaid” which is undergoing clinical trials in Europe and the United States. Recommended dosage of Uridine Monophosphate (UMP) for nootropic benefit is 150 – 250 mg per day twice per day. We recommend taking UMP with a good multivitamin that includes the B-Vitamin group and a broad range of trace minerals including magnesium. For best results stack UMP with Omega-3’s that include at least 700 mg of DHA and 300 mg of EPA. Introduce a good choline source after a couple of weeks of supplementing with uridine monophosphate. Start with 50 mg of Alpha GPC or CDP Choline. And increase your dose depending on response to 300 mg. If you find that choline supplementation increases depression, stop using choline and try using ALCAR as an alternative. Everyone’s body chemistry is different. To find the optimal dose of uridine monophosphate for you will take patience and some experimentation. Too little UMP and you won’t see any benefit for a long time. Too much uridine and you’ll feel emotionally dull and/or overly focused. Uridine is produced naturally in your body. So is considered well-tolerated and safe. Taking uridine monophosphate with food may help avoid any side effects. Neurohackers report only minor side effects like a decrease in emotions (feeling like a robot). But this has only been noted at very high doses of uridine monophosphate. If you do not respond well to B-Vitamins or SAM-e, you may not enjoy the benefits of UMP. 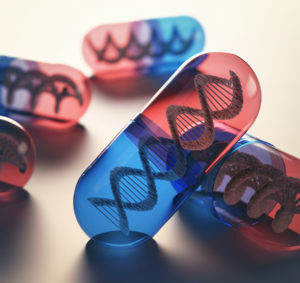 To learn more about the methylation-factor involved in this reaction for some people, you can read about methylation here. Uridine Monophosphate (UMP) is available in capsule and powder form. UMP is water soluble and can be taken sublingually. Sublingual doses are reported to be up to 7 – 10-times the equivalent dose compared to taking UMP orally. Triacetyluridine (TAU) comes in capsules, and is fat soluble. TAU is up to 4 -7-times stronger when taken orally compared to UMP. Neurohackers report that UMP is more effective, and a better value than TAU. We recommend using Uridine Monophosphate (UMP) as a nootropic supplement. Your body does make some uridine on its own. And you get uridine from the food you eat. But research has shown that your body does not retain enough of a usable form of uridine for cognitive benefit. Uridine Monophosphate is critical for the formation of RNA (ribonucleic acid). The main messenger molecule needed to transfer DNA’s blueprints for protein synthesis. Uridine is a precursor in the synthesis of CDP Choline. Which is a precursor to the synthesis of phosphatidylcholine (PC). PC is required for the synthesis of acetylcholine (ACh). Uridine enhances the release of the feel-good neurotransmitter dopamine. And uridine enhances the growth of neurons and synapses. Uridine Monophosphate is especially helpful if you’re dealing with stress or depression. We suggest a dose of 150 – 250 mg of UMP twice daily. It takes a while to feel the effects of uridine monophosphate. But you can amplify the effects of UMP by stacking it with 300 mg of Alpha GPC or CDP Choline and 700-1,000 mg of DHA (Omega-3). Do not push it by taking much more than the recommended dose of UMP. You may experience unwanted side effects. Thanks a lot. I’m having memory and overall brain disfunction. I’ve been putting together a solution for a couple of years, and am holding my own, but am at a much lower level than I am used to. I’ve been throwing p choline and choline bitartrate at it for years. I’ve been looking for other choline substaces and just ran across Alpha GPC and CDP Cholines recently. Am now about finding the best deals on that. You mentioned GABA. There’s that, then there is L-Theanine. A Month ago I read that they were calming type things, and stopped taking them. Should I go back. I really appreciate your lecture on Uridine Monophosphate. I’m shocked that I hadn’t run across it before now. I never would have had a chance to get going without it. I’m hoping that it’s the glue I’ve been looking for. Yeah, I do take the p Serine as well. Paul, if you’re going to try Uridine, you’ll get the most bang for your buck by adding a quality B-Complex to it along with 1000 mg of DHA. Life Extension has a “bio-active” version for less than $10. It uses folate instead of folic acid. And methylcobalamin instead of cobalamin which is key. For DHA I use Nature’s Way Mega-DHA which is also around $10. My research shows that both are high quality. I’d skip the choline citrate and go with either Alpha GPC or CDP Choline. I use Alpha GPC because my brain likes it. You’ll need to experiment to see which one works best for you. For overall brain function I recommend Mind Lab Pro. Their formula is highly-bioavailable and helps every part of brain health and cognition. You’ll start to experience the full effects in about a week of consistent use. In a month you’ll wonder when stuff started to come back online. My full review is here > https://nootropicsexpert.com/mind-lab-pro-review/. It seems a little pricey at first glance. But when you add up all that’s included in that stack it’s well worth it. And will save you in the long run. Last thing I’d suggest for now is review this post on the brain-gut connection > https://nootropicsexpert.com/psychobiotics-gut-brain-connection/. Phosphatidylserine is helpful but may not provide the kind of help you need at the moment. Using something like Mind Lab Pro will provide the PS plus help boost the neurotransmitters you may be low in. It also has Suntheanine which is a highly bio-available version of L-Theanine. The above will get you started on brain-recovery. Good luck and let me know how it goes. thank you so much for the great website you’ve built for us as nootropics users, i am a beginner to the world of nootropics and i aim to optimize my brain and i found everything i need in here, with that said, i need your expert advice on how to take dha, i’ve bought Nature’s Way Mega-DHA as you’ve recommended and i alsmot finish my second bottle, but I’ve read on article that we should split that large amout of omega-3 so the body will be able to absorb it, is that true, should i split the dosage or stick with taking the full dosage with my breakfast. and also i stared to take uridine and cdp choline a week now and the first time i took this stack it gave tremendous motivation and energy, now i just feel more grounded on it. and should i take cdp choline even thou i am a heavy egg eater, i always have 5 eggs in the morning with 3 yolks removed, so what do you recommend? and for maximum benefits of the uridine should i take twice a day, i have 250mg pills? I’ve bought a lot of the racetam families and non of then seems to work perfectly for me, even modafinil has no real noticeable effects on me , when i used it for the first time, it just gave me a lot of jitteriness without any focus or cognitive improvement. so can you help me on this matter, why nootropics do not seem to work for me? and is it due to the fact that i have been a heavy cannibas user for 5 years and thus fried my dopamine receptors or something else happened to my brain even thou i am now off of it for over 10 months and i workout regularly and i eath healthy, so can you help me figure out what is it, and how can i make nootropics work better for me to have a healthy brain. and i also take b vitamins with brewer’s yeast and calcium,magnesium,zink supplement. Rashad, I take my DHA supplement first thing in the morning. The minimum dose with “Mega-DHA” is two capsules. It would likely be more beneficial if I took one capsule in the morning and one at noon. Logic tells me this would make more sense as my body and brain would get a more constant supply of DHA. Uridine likewise should be taken in two doses. One in the morning and one around noon This way your brain gets a constant supply of what Uridine provides during the day. Using CDP-Choline is a good idea. But the dosage really depends on your unique physiology. Listen to your body. Please see the last 3 paragraphs in Dosage Notes on what I mean. It will take some trial and error for you to hit your sweet spot in dosage. I personally eat eggs AND use Alpha GPC. You may be correct about malfunctioning receptors. You can try something like Lion’s Mane Mushroom to repair that damage. https://nootropicsexpert.com/lions-mane/. Don’t expect miracles right away. It takes awhile for the brain to repair itself. But you’ll be amazed on how well it does this when you check back in 2 or 3 months and reflect on the changes. 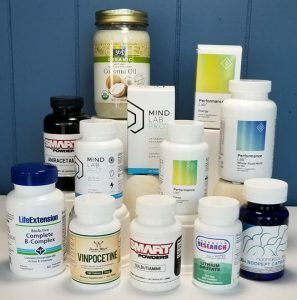 Every nootropic supplement affects each of us differently. And often the racetams and their benefits can be very subtle. You may not notice anything immediately. But stop taking the supplement after a month of use and see what happens. If you don’t notice any change there’s a good indication that it was doing nothing for you. But you can’t make this determination without giving the supplement a fair trial. Much of what you’re doing relies on the B-Vitamins. Many neurohackers don’t realize how critical this is. I suggest you try a quality and highly bioavailable B-Complex vitamin stack like the one made by Life Extension (BioActive Complete B-Complex) instead of Brewer’s Yeast. You get a more accurate dosage of each B-Vitamin instead of blindly hoping for the best with something like yeast. One final note is you ‘may’ need to increase your brain’s supply of dopamine. You could start with something like NALT which is safe and effective. Much better than something like Modafinil which doesn’t increase dopamine levels. It just makes more dopamine available. And it sounds like your brain was converting that supply into norepinephrine and epinephrine. Which was causing the jitteriness. If you start earlier in the dopamine pathway with something like NALT you may have better success. and also i just received a bottle of Bacopa Mooniere so can it play the same role as Lion’ mane, if not what brand of Lion’s man should i buy? so i would like to hear what you think. Rashad, Lion’s Mane works by boosting nerve growth factor and stimulates the repair and creation of neurons. Bacopa also helps neuron repair and growth. I have no evidence of it but I think Lion’s Mane may be the winner when it comes to repairing and generating new neurons. It wouldn’t hurt to use both. It’s true that you need to use some caution with the B-Vitamins and dosing. Dosage of Vitamin B6 is up to 100 mg per day. Doses exceeding 200 mg can cause neurological disorders and loss of feeling in your legs. And the problem with Vitamin B9 (folate) is consuming it as folic acid. Your body needs folate and not folic acid. 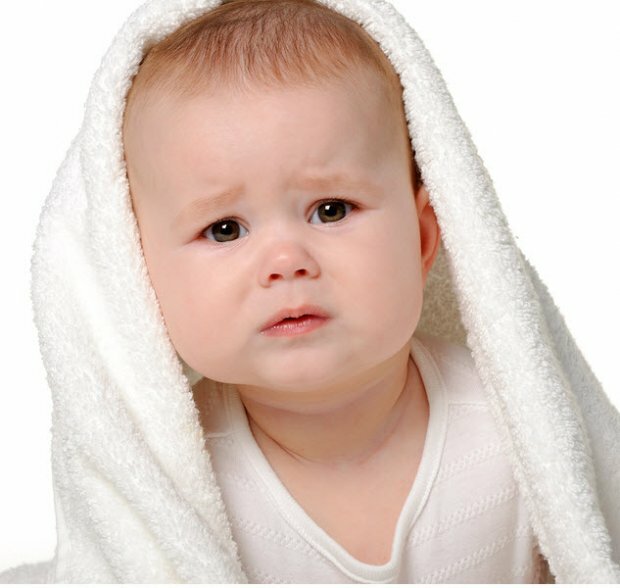 Please see this review to better understand why folic acid can get in into trouble > https://nootropicsexpert.com/vitamin-b9-folate/. Also check the dosage notes in that article about the other vitamins necessary to make sure everything is in balance. 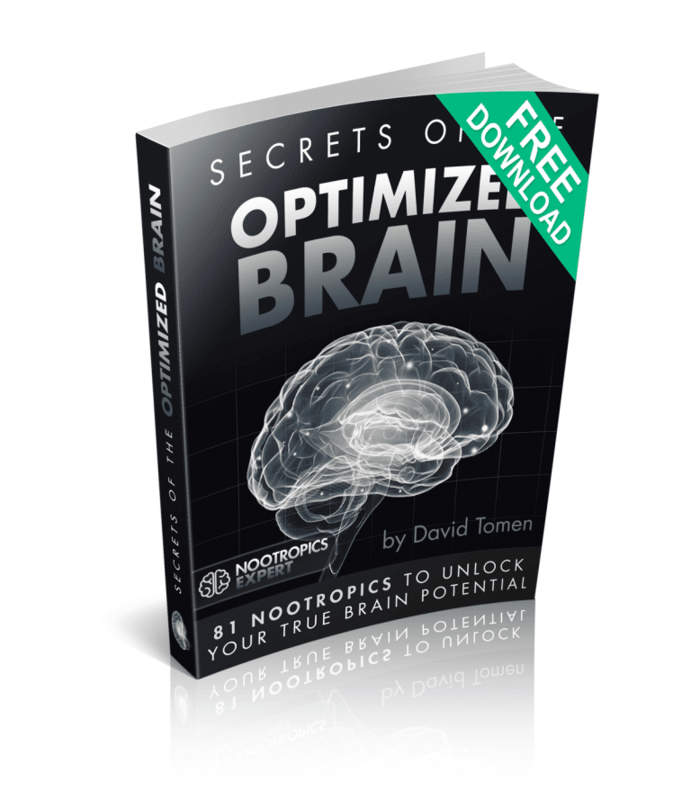 The best recommendation I can provide in choosing brands for any supplement is to follow the guidelines I’ve outlined in this post > https://nootropicsexpert.com/7-tips-for-choosing-the-highest-quality-nootropic-supplements/. thank you so much that was so helpful , and when Ive read your article about B9 and how folic acid can cause permanent damage to our cells, I’ve quite taking brewer’s yeast because it says it’s rich in folic acid, so thank you for the info, and I feel like it made a difference. and an other thing is i couldn’t find a lion’s mane product, i really got confused even after I’ve read your article about brands, so could you recommend some brands for me, i would very appreciate it. Rashad, NALT is L-Tyrosine with an acetyl-group added to increase bioavailability. The intention and in theory NALT should be more effective that L-Tyrosine. But user reviews report conflicting information which is not surprising. It’s not “more potent” but a variation on the original amino acid. And it’s the reason I keep on saying YMMV. Every one of us has a unique body and brain. And what works for me may not work for you. I have great success with NALT. The only thing I can suggest is experiment with both. And see how your body reacts to each. Lion’s Mane Mushroom extract is more difficult to source because most of the major supplement manufacturers with great reputations do not make a Lion’s Mane product. When I search for a hard-to-find supplement, I first look to companies like NOW Foods or Swanson Vitamins because I know they adhere to a strict testing procedure for all their products. Look for labels with genuine USDA Organic labels and USP or NSF-Certified labels for quality supplements. Then look at the user reviews to see what people say about that product. Dr. Annas, thank you for bringing this up but it’s not entirely true. I’ve reviewed study after study that shows excess uridine monophosphate may promote cancer in the prostate, breast, liver, pancreas and who knows where else. By activating the P2Y2 receptor. But ALL of these studies were done in the lab using different types of lab mice. Or cells in petri dishes. I have not found a single clinical study demonstrating uridine monophosphate increasing cancer in humans. If you are aware of this type of study please let us know where to find it. However, there is an ongoing debate in the nootropic and longevity communities about this subject. And ways to mitigate the ‘potential’ negative effects with things like additional ‘folate’ (NOT folic acid). So I appreciate you bringing this issue to light because I’m going to update the “Side Effects” section of this review to reflect this controversy. I have issues with B vitamins due to methylation. I was wondering if I could expect to have similar issues taking uridine monophosphate as a stand alone supplement? If so, why would that be? and all that other stuff fit in?”. It seems you improve your chances of Uridine Monophosphate working if you supplement it with methyl-folate, methylcobalamin, magnesium and an Omega-3 high in DHA. That combo seems to keep homocysteine in check and gene expression working the way it is supposed to. Especially if you have methylation issues. Taking Uridine Monophosphate on its own in your case may not be such a good idea. Because then we possibly get into tumor expression territory. But this is speculation because all the clinical trials I’ve seen so far have been with cells in a petri dish, or with various types of mice. Not in humans. You recommend 150-200mg of uridine but all the capsules I’ve seen are at least 300mg. Is 300mg too much to take at one time? Steve, you could start with one 300 mg capsule of uridine monophosphate and see how you feel. If you see no benefit then increase it to two 300 mg capsules per day. You’ll know you are getting too much if you begin feeling overly focused, or emotionally dull. Your second question is a good one. Uridine seems to provide more benefit than simply using CPD-Choline on its own. Because of its mechanism of action on the way to its contribution to CDP-Choline synthesis. Like promoting neuron and synapse growth and DNA repair. 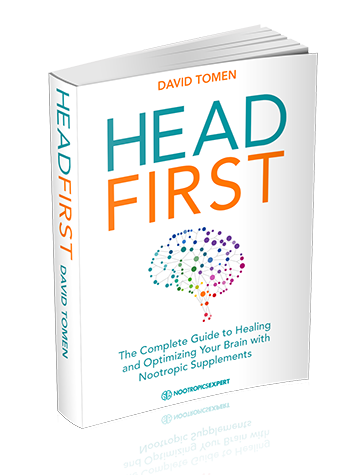 Most experienced neurohackers report more success using uridine monophosphate when stacked with an Omega-3 and Alpha GPC. Thanks so much for all the great work you do in the Nootropics world. I’m thoroughly enjoying your book Head First! It’s excellent work! An a great reference guide for me. I’m looking at a Uridine/Alcar/CDP Choline/Fish oil and B-complex stack. My goal is for better cognition, brain repair and mood improvement with this stack. I’m pleased you’ve mentioned here about the possible link between UMP and cancer. I’m in remission for 10 years from Hodgkin’s Lymphoma. And I have slightly raised liver enzymes which my physician said is partly due to the chemo and also due to psychotropic drugs I’m on currently (but am tapering down and will eventually stop. So my question is twofold. Firstly, is there really any reason to be concerned about the possible cancer link considering my previous history? And secondly, since UMP is synthesized through the liver are there any concerns you can think of or ways to reduce any adverse effects by adding to this stack where liver health is concerned? Gabriella, I would not risk using uridine if you’ve already dealt with cancer. There are clinical studies showing that uridine does promote tumor growth. Here’s one: https://www.sciencedirect.com/science/article/pii/S0304383516000197. I don’t think the evidence is conclusive. But why risk it? Instead, choose the best Omega-3 supplement for brain health (i.e. high in DHA). And consider phosphatidylserine (PS) and/or phosphatidylcholine (PC). For liver health consider Milk Thistle which has plenty of clinical evidence supporting its use to boost liver function. And thank you for your comment about Head First. So far, reviews have all been ‘5-star’ which is humbling and gratifying at the same time. Please spread the word about Head First with your family and friends. Everyone needs a little help with their brain! Thanks for sharing this study. I’ll be excluding Uridine from my stack. I was planning on Uridine since it gives support for mood upliftment. I struggle with Bipolar. And I’d like to treat this with Nootropics. I totally believe it can be treated and managed with Nootropics. I also struggle with ADD which I think is exasperated by the psychotropics. These are being tapered down though and will be out of the picture in a few months. I struggle with focus, motivation, memory and speed of processing too. And I was hoping for a stack that’s not too stimulatory but still gives me the boost I need for my daily work. I run my own business and I’ve found it very difficult to have the focus, motivation and energy to take it into the next level. My work entails a lot of research and writing and where I am now in terms of brain state is not conducive to my work. I’m starting on Performance Labs Multi for women as soon as it arrives and have found a high quality fish oil too. So can you recommend any other Nootropic I can use in the stack that will lift my mood but not be too stimulatory. And one that will also support focus, memory, motivation and speed of processing? And brain repair and health is just as important for me considering that psychotropics do more harm than good. Performance Labs Multi for women. So any recommendations to add to this stack that will help with mood, focus, memory, speed of processing you can give will be greatly appreciated. I’m pleased you’ve mentioned Milk thistle because I’ve recently started taking it. I also juice daily specifically for liver support. Gabriella, for bipolar you can try Lithium Orotate which will help stabilize your mood. And you may want to consider something to boost dopamine as well if you are dealing with ADD. Start with L-Tyrosine or NALT following the recommended dosage in each review here on Nootropics Expert. Increase your dosage for CDP Choline to the recommended dosage in that review. And you need 1,000 mg of DHA per day. Night: theanine, 5-HTP, Ashwaganda, only occasionally a tiiiiiny amount of melatonin (in the microgram range) to promote sleep. My question is about timing. I know CDP choline is a uridine precursor, and I know that uridine is (potentially) a GABA agonist. On the theory that caffeine is an acetylcholine agonist, I should be avoiding cholinergics in the evening, right? But on the theory that uridine is GABA agonist, it might help with sleep, right? (especially since it seems that oral GABA can’t cross the blood-brain barrier). Most of what I’ve seen seems to suggest that daytime uridine doesn’t make people sleepy, just wondering when I should or shouldn’t be taking uridine and/or a cholinergic (GPC or CDP choline). Should I only take uridine at night, in the morning, both? Should I switch to GPC to avoid potential sleepy effects during the day? Should I avoid choline sources at night? Thanks! John, as a general ‘rule’ it’s best to avoid choline precursors in the evening. Particularly uridine because it helps boost dopamine. Which can interfere with sleep. As for Alpha GPC and CDP-Choline, your brain uses both and some respond better to one or the other. Personally, I use both because CDP-Choline (Citicoline) is an ingredient in Mind Lab Pro. And I use Alpha GPC in the morning, at noon and later in the afternoon because my brain needs more acetylcholine. Thanks for the information on this stuff man, this is certainly helpful. i have a question about Uridine Monophosphate though, a friend of mine, who is my nootropics buddy, he is very knowledgable about these types of drugs and herbs, and he warned me about possible cancer-linking side effects as to the use of Uridine Monophosphate. i was wondering if you knew anything about this, or have you heard the same thing? I have dug around using google, but have no found anything – only suggesting its safe, and that doses of 200-250mg twice daily is effective – epecially for those of us who have a past of stimulant abuse/every-day use (amphetamines/adderall). I read that uridine monophosphate could be beneficial to someone who used adderall on a consistant basis for 2-3 years and who has now stopped. I am currently taking uridine monophosphate (200mg 2x per. day) starting today, along with krill and fish oil. also cognizin citicoline, and a few other nootropics and vitamins. Brian, the uridine = cancer growth idea has not been proven conclusively. But there is some evidence as I mentioned in response to Gabriella on Oct. 4, 2018 above, that there is some evidence of a connection. 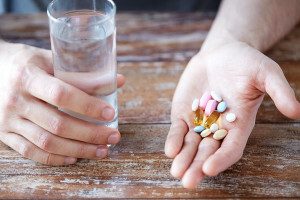 Bottom-line is if you have dealt with cancer or tumors in the past, have a family history of cancer, or are simply worried about getting cancer from supplementing with Uridine – then avoid using it. Im looking to improve my meditation and the benefits of it, Im taking L Theanine Suntehanine, vitamin B12 (5000mcg) , and im looking to buy Phosphatidylserine and now Uridine Monophosphate. 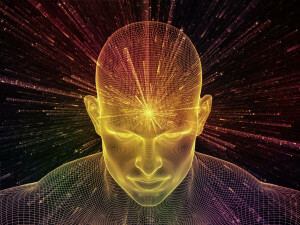 My objective is to give the best protection to my brain and at the same time evolving it as much as I can, expand my intelligence in deepest and profound levels. So im looking all the forms that I can take, but that won’t hurt me, even tanking singularly or complemented and do not create habituation. Can u give me an overall about the best nootropics that will help me to attain this, and most important don’t cause any damage and habituation. 1) What would be a good starting dose for this combo? 2) Will this combo be safe to use with turmeric and CBD oil? And what supplements do you recommend for uridine and Choline? Thanks so much!! I look forward to your reply! Bora, each of the nootropic supplements you mention have specific dosage recommendations in each individual review here on Nootropics Expert. Including types to buy and side effects to watch out for. All of the nootropics in your comment are safe to use together as long as you follow the dosage instructions.